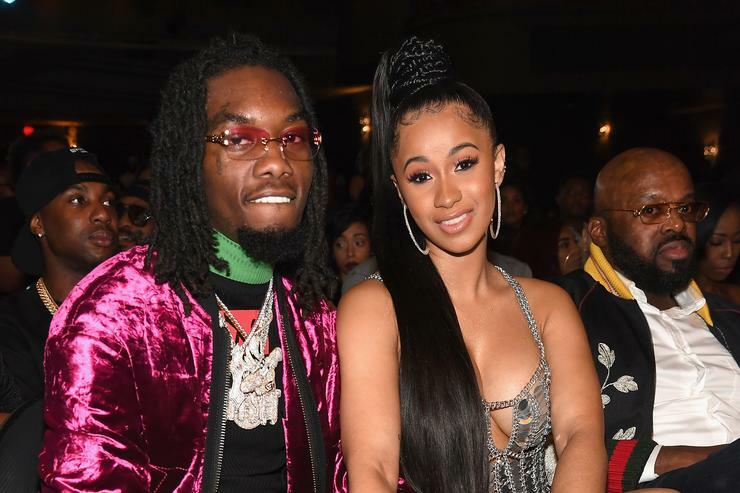 Even though it wasn’t technically supposed to drop today, Cardi B has unveiled her upcoming Rolling Stone cover with fiancée Offset, which finds the Migos rapper showing love to baby “Bardi” and kissing Cardi’s pregnant stomach. Cardi opted for a blonde wig look too, which has received mixed reviews from fans on Twitter, but of course haters gon’ hate. The cover, which hits newsstands in July, serves as the second time both artists have graced the magazine within the past year alone. Cardi covered last October’s issue, while Offset was on the February issue with the rest of the Migos.